Scientists around the world have recognized fluoride as a markedly beneficial resource for protecting tooth enamel from decay. 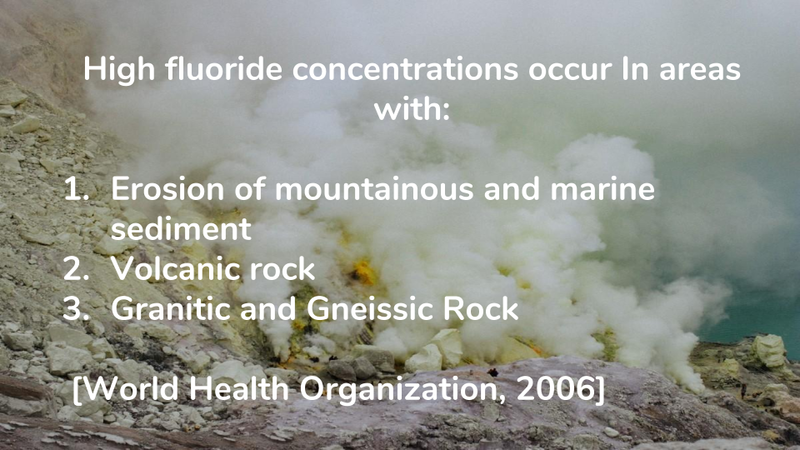 However, excess fluoride can also have an adverse effect on human health. A significant problem arises when excess amounts of fluoride infiltrate drinking water. 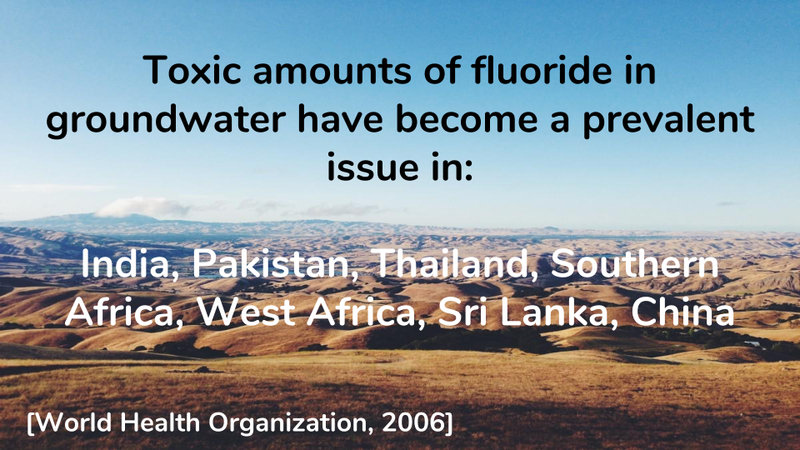 High fluoride concentrations can have devastating impacts on dental health, especially those of children, and eventually lead to hypomineralization and dental fluorosis. 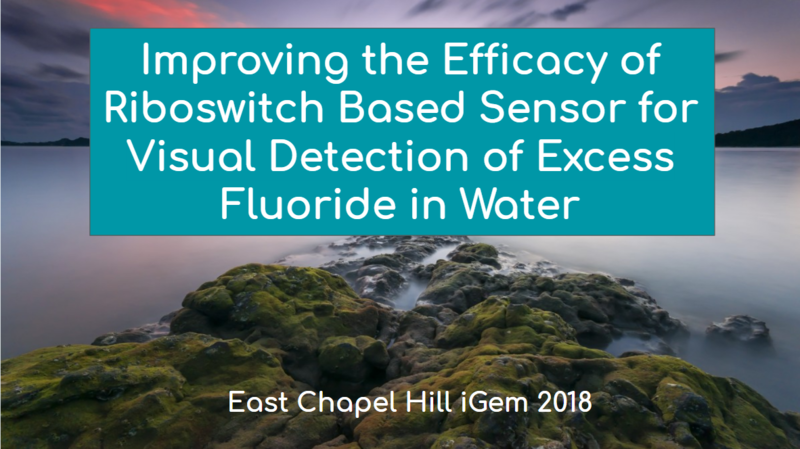 To address this challenge, we aim to first develop an efficient, user-friendly, and cost-sensitive fluoride biosensor using previously characterized fluoride riboswitches. Last year, we developed an operon whose riboswitch was only activated when bound to fluoride. This fluoride-specific activation allowed for selective transcription of the chloramphenicol acetyltransferase (CAT) gene. Bacteria that can express the CAT gene have a resistance to the chloramphenicol antibiotic, and can survive in the presence of chloramphenicol. Consequently, the presence of fluoride allows for bacterial growth in the presence of chloramphenicol. However, this system was not able to detect concentrations low enough to prove useful in realistic applications. This summer, we focused on testing various promoters and riboswitch sequences to reduce the detection threshold and improve the efficacy of our previous operon.